Bridgestone Americas announced the construction of a new 1.5 million-square foot off-road radial tire manufacturing facility in September 2011. The company also announced an additional 474,000-square-foot expansion of the existing tire plant. 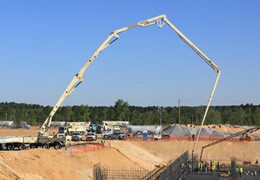 Ashmore Concrete is providing pumping services for the companys expansions. 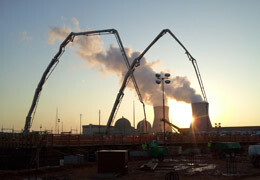 Ashmore Concrete is providing concrete pumping services to the first nuclear reactors being built since the 1980s.